At Gannon University, we’re focused on students’ academic success by ensuring a high-quality education is within reach for all who are seeking to find their path and advance their career. Gannon offers over 100 innovative online and traditional Bachelor’s, Master’s and Doctoral academic programs where students practice hands-on, real-world application in exceptional learning environments on campus and in the community. More than 4,000 academically talented and diverse students enjoy a personalized experience through Gannon’s low student-to-faculty ratio of 13:1. Our faculty experts inspire students and prepare them for the careers of tomorrow. 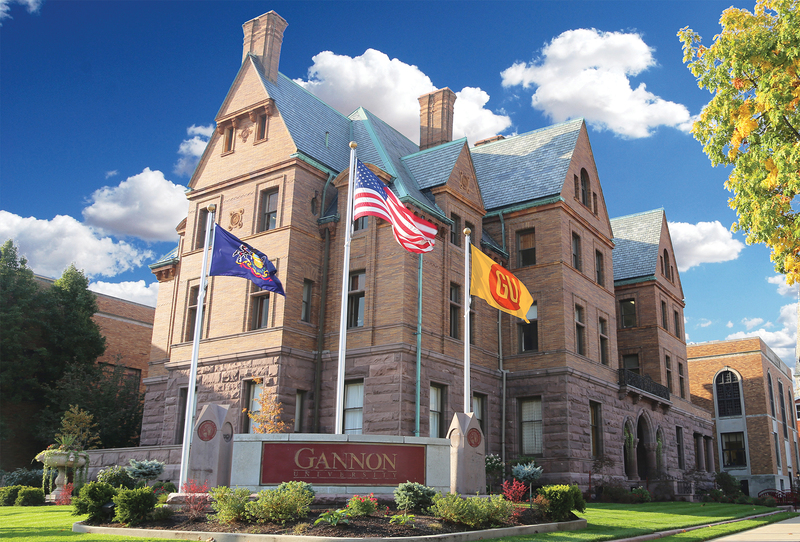 As a premier Catholic University, with locations in Erie, Pa. and Ruskin, Fla., Gannon is dedicated to excellence in teaching, scholarship, service, and travel opportunities throughout the world. You will find your possibilities, form lifelong friendships, be part of a team, join our alumni network, and discover what you want to become in a vibrant, urban setting that fosters real-world experiences. A university rich in history and tradition, Gannon University prepares its students to be leaders in their fields. With all that the University has to offer, your possibilities are within reach. All you have to do is believe.